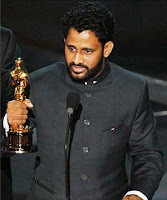 In a recent interview, Resul Pookutty who won an Academy Award for his sound recording in Slumdog Millionaire, revealed his next project would be "The Beautiful Cigar Girl." He told the India Times, "I couldn’t be happier because I am doing a period film." The sound recorder went on to explain a bit about the film. "It is a very special challenge because I have to recreate the sound textures of New York in 1854. It’s an adaptation of The Beautiful Cigar Girl by Daniel Stashower and based on an eerie real-life experience of author Edgar Allen Poe which happened just months before his death. Joaquin plays Edgar Allen Poe," said Pookutty. While Pookutty's comments are a bit intriguing, they scream too early to tell. There is (at this point) no director, writer, or studio attached to this project. Hell Imdb doesn't even have anything registered for the film. Nor does Resul Pookutty's imdb page. Outside of the fact that there is no real confirmation (anywhere) of anything other than Pookutty's comments, the story itself sounds worth a viewing. Based on Daniel Stashower's novel "The Beautiful Cigar Girl," the book is essentially a story within a story within a story. Set in 1841 New York, a Cigar Store called the Tobacco Emporium hired a beautiful woman named Mary Rogers to draw in customers. She is set up as the "It" girl for the time. Mary Rogers later turns up dead, floating in the Hudson River as a result of a strangling. Rogers death instantly became a sensation in New York and was widely publicized in the newspapers. Her death even caught the attention of writer Edgar Allen Poe. Who became enamored with finding Mary Roger's killer(s) and using her story to create a sequel to his earlier detective novel "The Murders in the Rue Morgue." The sequel was called "The Mystery of Marie Rogêt" and while set in France, was Poe's account of the Roger murder. Poe would scour threw newspaper clippings and evidence of the murder looking for anything the police could have missed. Ultimately drawing his own conclusions to Roger's murder. 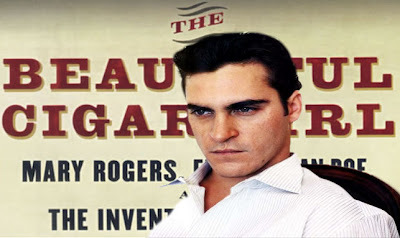 From everything I could dig up on "The Beautiful Cigar Girl" and what I have summarized above, seeing Joaquin Phoenix (possibly) taking on the role of Poe sounds promising. I love Joaquin Phoenix and have been fairly disappointed with the prospect of never seeing further films with him in them. Could this be a silver lining? I hope so. The role seems perfect for Phoenix and there's no doubt I'll embrace him in practically anything. The real questions are, who is directing, who is writing and what studio or producers are putting money into getting "The Beautiful Cigar Girl" made?